Yamaha is accountable for some of the greatest road car engines of all time, from the Lexus LFA’s screaming V10 to the Ford Taurus SHO’s snake’s nest V6. As for racing engines, things are a bit less rosy. Yamaha ran an F1 project from the tail end of the 1980s all the way into the mid 1990s, never with anything that you might call success. “Disaster” was the word that came up in Joe Saward’s review of “Yamaha’s F1 struggle.” Hm. Not great. Right. Well, if this was the case, I really don’t mind just listening to this Yamaha OX99-code, 70-degree, 3.5-liter V12 howl. 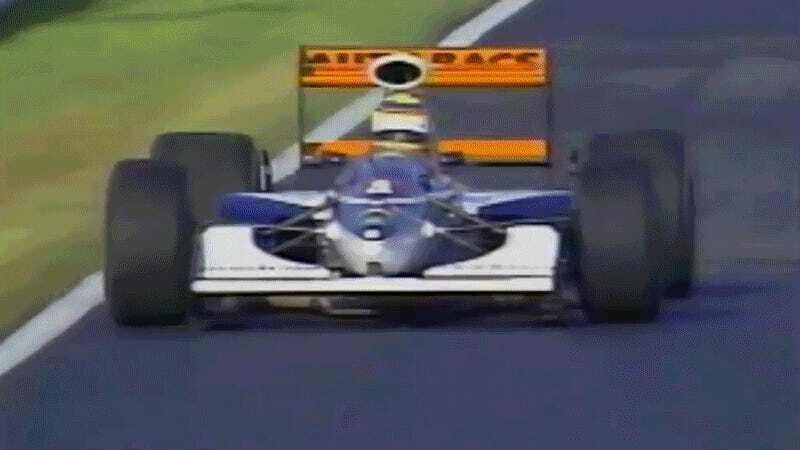 It was good for about 600 horsepower, according to Yamaha, and weighed about 140 kilos, according to All F1 Info. This meant it was down probably 50 HP on other engines from small builders (like Judd, which would come to partner with Yamaha in the ‘90s as well) and down about 100 HP on other engines from more established teams (like Honda and Ferrari). It was one of the best-sounding engines in the sport, even if it wasn’t exactly the most successful. Or the best performing. Or the most reliable.